Whatever You Think About Monsanto & Friends, it's Worse -- GMO's are an Attack on Life Itself! 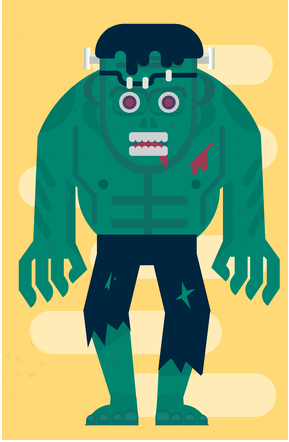 GMO Frankensteins are an attack on life itself! Monsanto’s GMO’s, political corruption and falsified research has unleashed new microscopic “Frankensteins” that are already making animals & people sick and dramatically decreasing fertility. GMO’s are an attack on life itself! Perhaps you’ve seen the sci fi flick about a world with no children – well, here it comes! Remember, to be a raw food vegan you have to eat raw, unprocessed, nutritionally-dense, toxin-free food. GMO’s are not only making that impossible — they are attacking life itself! There are no peer-reviewed scientific studies on the safety of GMO’s — though there are several studies that have been funded by Monsanto and Friends that have been shown to be unreliable. There are clinical and peer-reviewed scientific studies that clearly show the dangers of GMO’s. Epidemiological studies have shown that there’s been a significant increase in over 30 human diseases that corresponds to the increased use of glyphosate and GMO’s in our food. Glyphosate is not actually an herbicide. When it was initially patented, glyphosate was considered a mineral chelator that makes nutrients unavailable for your body. It’s also patented as an antibiotic that can damage the gut bacteria we need for proper digestion, further making many nutrients less available. The EPA doubled the amount of glyphosate allowed in food. Today’s crops that are heavily sprayed with glyphosate (the active ingredient in Monsanto’s Roundup) have lower nutrient density than organic foods and contain high amounts of pesticides known to be harmful to our health. Glyphosate is also patented as an antibiotic—and a very effective one at that— against a large number of beneficial organisms. Unfortunately, like all antibiotics, it also kills vitally important beneficial soil bacteria and human gut bacteria. Glyphosate was originally patented as a chelator in 1964 by Stauffer Chemical Co. Monsanto introduced as an herbicide in 1974. In 1996, Roundup Ready crops were introduced creating a sharp increase in Roundup use since it can be applied several times without damaging a crop. Then, to put the final nail in your coffin, Monsanto started using glyphosate as a ripening agent applied just before a harvest to ripen the crops — even for non-GMO crops! Despite all the documented health risks, the U.S. Environmental Protection Agency (EPA) is regularly approached by biotech companies asking for higher limits of this toxic chemical in your food. GMO’s — an Attack on Life Itself. GMO’s cannot coexist with conventional crops. All this is connected to the relationships between genes and their environment. When you disrupt these relationships you end up with a variety of effects that have never been studied at all. We actually don’t even know all the effects of this attack on life itself! “We know how to get these genes in; we don’t know how to remove them…. If you have a gene that is spread by pollen, like Roundup Ready alfalfa, it’s just a matter of time before bees or the wind is going to transfer that particular pollen to every alfalfa crop that you’re going to grow…. for every one of those successful expressions that you get from genetic engineering, you have over a million other things that take place that are negative…. One of the things that we do know is that the genes that are being inserted are extremely promiscuous. They’re not stable.” — Dr. Don Huber. Research has shown that human cells are able to transfer GMO genes, actually adversely affecting the human genome — that’s you and me! University of Canterbury Professor Jack Heinemann released results from genetic research on GMO wheat that showed that molecules created in the wheat, designed to change its carbohydrate content, can potentially silence human genes, as well. Heinemann’s research showed over several hundred pages of possible matches between GMO genes in the wheat with the human genome. Over a dozen of these were “extensive and identical and sufficient to cause silencing in experimental systems.” According to experts, this could create dangerous changes in the way glucose and carbohydrates are stored in our bodies. The bees are deficient in minerals, especially in micronutrients. There’s plenty of food but the bees are not able to use or digest it. The dead bees have no Lactobacillus or Bifidobacterium, essential components of their digestive systems. When exposed to glyphosate, bees become disoriented, suggesting endocrine hormone disruption. 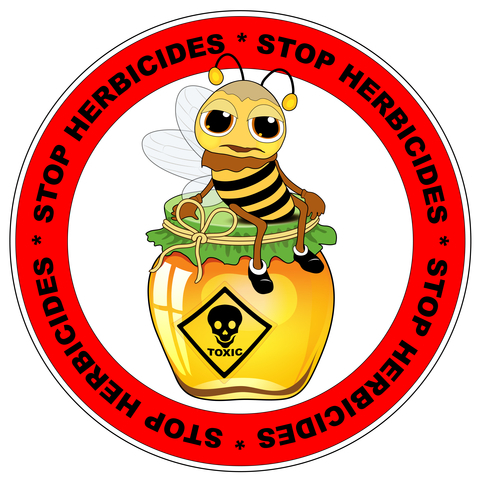 Neonicotinoid insecticides are endocrine hormone disruptors that have also been shown to make bees disoriented. According to Dr. Huber, a study on glyphosate commonly found in U.S. drinking water systems showed a 30% mortality rate for bees. So today there is no way to truly know which foods contain GMO’s tainted with high levels of Roundup or glyphosate. Labeling would help and give you the opportunity to choose a different product. According to Dr. Huber, 0.5 ppm of glyphosate is toxic to your endocrine system. 10 ppm is cytotoxic to kidney cells. Just 1 ppm is toxic to your liver. And a mere 0.1-10 ppm is toxic to a whole range of human cellular functions. Think about that — and remember that we currently use nearly a BILLION pounds of glyphosate annually on crops worldwide. A study at the Massachusetts Institute of Technology showed that glyphosate is probably the most harmful chronic toxin we’ve ever had to deal with! In 2011, Dr. Huber wrote a letter to the head of the USDA about safety concerns for GMO crops. He also warned them about a new microscopic organism associated with Sudden Death Syndrome (SDS) in soy found in livestock feed, that causes spontaneous abortions and infertility. Needless to say, his warnings were ignored. Why would the USDA completely ignore warnings from a scientist with 50 years of experience with plant pathology, soil-borne diseases, microbial ecology and host-parasite relationships? There’s is no doubt that GMO’s are NOT a solution to feed the world. On the contrary, GMO’s are an attack on life itself, impairing a crop’s natural immune response — all while actually reducing crop yields. Despite everything Monsanto & Friends like to claim, there’s never been a GMO crop that increases the yield of any crops at all. Farmers actually can improve crop yields significantly using a variety of traditional breeding programs that promote improved gene expression. According to John Kempf, a leader in the field of high-performance agriculture, farmers harvest only about 10-15% of the genetic capacity of any crop. The true foundation of health, whether it’s plants, soils, animals,or people boils down to adequate mineral nutrition and a strong soil biology. What the Monsanto & Friends in the biotech industry have actually accomplished is to turn your food into a toxic poison — making this an attack on life itself. In fact, it’s not really food at all. It’s not nourishing to living animals or people. It causes disease rather than nurtures healthy lives. It’s actually more like something cooked, microwaved, mixed with plastics then molded into something that resembles actual food. Biochemically, however, it is not really what most people think of when we go to the market at all. Increased toxic exposure to high levels of glyphosate and formaldehyde in the GMO food. Impairment of sulfate transport and sulfur metabolism, sulfate deficiency. Systemic toxicity, a side effect of the disruption of microbial function in your body allowing for overgrowth of pathogens. Gut dysbiosis — imbalances in gut bacteria, inflammation, leaky gut, food allergies, gluten intolerance, etc. Increased damage by other food-borne chemicals and environmental toxins resulting from glyphosate shutting down the function of detoxifying enzymes. Creation of ammonia (created when microbes break down glyphosate) which leads to brain inflammation associated with autism and Alzheimer’s disease. Glyphosate sprayed on conventional GMO crops actually becomes systemic throughout the plant and cannot be washed off. GMO corn, for example, has 13 ppm of glyphosate — compared to NONE in non-GMO corn. That’s 18 times more glyphosate than safe levels set by the EPA. The only way that you currently can safely avoid GMO’s is to make whole, fresh organic foods the majority of your diet — preferably raw foods! Don’t confuse the “natural” label with “organic.” There is no clear legal definition of the word “natural.” Corporations use that word to sell you anything at all. To label something as “organic,” producers must prove that they’ve grown and processed their crops using well-established organic farming methods that recycle, promote biodiversity, don’t use pesticides, don’t use GMO’s, and never use fertilizers based on petroleum products or sewage. The majority of Roundup dumped on American crops is on your food! The thing to understand about GMO’s, in addition to everything else, is that they require heavy doses of glyphosate. Monsanto & Friends make a killing (literally) on this because they produce both GMO seeds and the chemicals they require. But it turns out that Roundup is a systemic chemical that is actually absorbed inside the crops. And, as it turns out, glyphosate doesn’t break down in the environment as originally promised. It is abosorbed and stores in your body, as well! But the U.S. Environmental Protection Agency still allows farmers to soak their corn crops with 50-times more glyphosate today than they did in 1996! Glyphosate isn’t just an herbicide, as if that’s not bad enough! Glyphosate is also a registered antimicrobial agent that can kill a wide variety of organisms only harmful pathogens like Clostridium botulinum, Salmonella, and E. coli are able to survive glyphosate. But the good bacteria that you actually need in your digestive tract (bacillus and lactobacillus, for example) are all killed, setting your digestive tract up for all kinds of health problems, such as leaky gut. When you gut lining gets compromised it lets bacteria and toxins into your bloodstream creating numerous problems. Here’s what SHOULD BE the last straw — GMO crops designed to survive herbicides that would otherwise kill them are a doomed technology. Monsanto & Friends seriously overuses these chemicals creating a whole new list of problems including antibiotic-resistant super germs and super weeds that are almost impossible to kill. When GMO’s were first introduced they falsely promised a way to reduce the use of chemicals — but they actually increased chemical use by more than by 500 million pounds! Despite this truth, the Environmental Protection Agency (EPA) is considering approval of GMO crops designed specifically to survive even bigger doses of glyphosate, as well as the highly toxic 2,4-D weed killer. This will probably quadruple pesticide use in the near future. Remember, 2,4-D has been linked to hypothyroidism, suppressed immune function, Parkinson’s disease and cancer, among several other health problems. 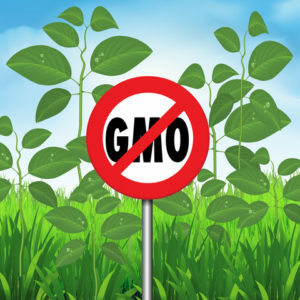 So when it comes to GMO’s in your food … just say NO! 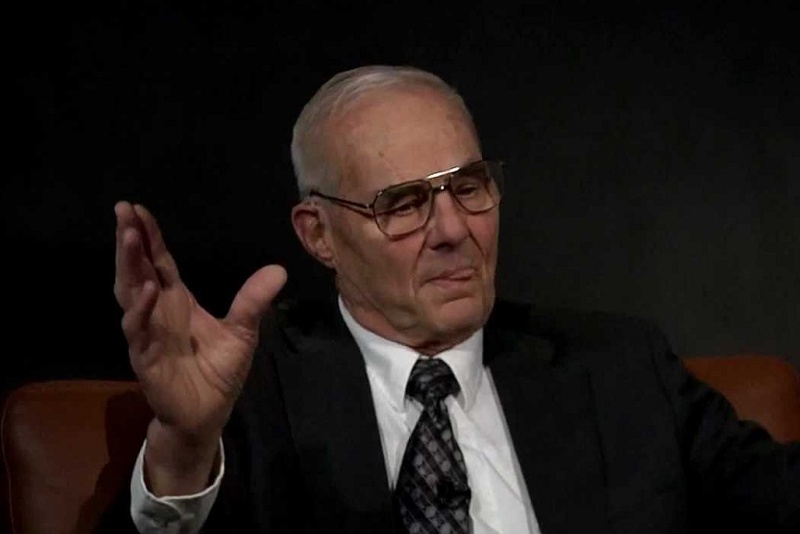 Renowned natural physician Dr. Joseph Mercola interviews Dr. Don M. Huber, one of the top scientists in the U.S on genetically modified organisms (GMO’s) and Roundup (2 parts). Dr. Huber is probably the leading expert on GMO’s in the world and is an award-winning, internationally recognized scientist, as well as a professor of plant pathology at Purdue University for the over 35 years. His agriculture research over the several decades has guided him to become a very active advocate against GMO crops.